Peter S. Beagle first imagined his beloved heroine when he was twenty-three, half a decade before she sprang into the world. Now the Last Unicorn's fantastical origins are recaptured in this lovely commemorative hardcover. Here you will discover the eighty-five page genesis of Beagle's masterpiece, his own wry musings upon his early career, charming original illustrations, and tributes from modern fantasy legends Patrick Rothfuss and Carrie Vaughn. In this wonderfully strange adventure, a brave unicorn leaves her solitary life behind, determined to discover if she is the last of her kind. She is forewarned by a forlorn dragon and befuddled by a chatty butterfly; her unfamiliar traveling companion will be an exiled demon with a split personality and a penchant for philosophy. 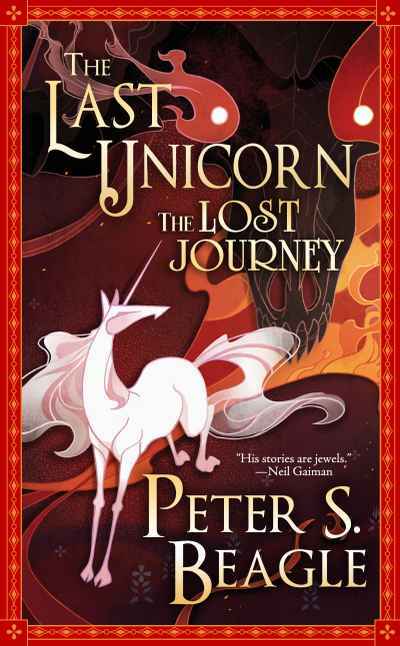 Somewhere between mythology, modernity, and magic, the Last Unicorn has found herself on the road less traveled by...until now.